If you possess a glowing and clean skin complexion and suddenly you feel some patches or dark spots on your skin so it can be embarrassment for you because they give your skin an uncomfortable look and you feel ashamed going in front of other people, especially if you are a working woman or man. Black spots or other types of marks on your skin appear due to certain condition such as secretion of excessive amount of melanin on the skin, exposure to the sunlight, imbalance hormonal levels, pregnancy, several medications, and deficiency of vitamins, improper sleep and too much stress. Lemon is available at any time in every person’s home so using the lemon juice can be partially beneficial for your skin to reduce black spots. Due to the presence of vitamin C in lemon, it can help your skin to lightening the black spots very soon. Take a cotton ball and dip it in the fresh lemon juice. Now rub gently on the areas where you see black spots or any other marks. Allow it to dry for few minutes. Wash out with the cold water. Do this remedy continuously for two weeks to get the better result. But make sure if you have delicate or sensitive skin then do not apply lemon juice directly because of its acidic property, otherwise your skin will start burning. You should add plain water in this juice with the addition of rosewater or honey. Buttermilk on the other hand also works to lighten the black spots without causing burning sensation. Lactic acid, present in the milk is an important factor that helps in reducing the dark pigmentation. Take 4 tsp of buttermilk. Now add 2 tsp of fresh tomato juice in the buttermilk. Mix them well together then apply directly on your skin. You can also make a solution of milk and honey to apply on your face. Leaving it for 10 minutes to get the desired results. Oatmeal powder is found to be great for the reducing action of blemishes or black spots. You can prepare an easy oatmeal mask to apply on your face and neck for removing the dead skin cells. Take half cup of rolled oats and grind them finely. Add three tbsp. of lemon juice to make a smooth paste. Scrub it off on your skin then wash with warm water after when it dries. If you feel like your skin is getting messy so use a clean cloth, soak it in water then remove the mask with that gently. Almonds are also beneficial for reducing the early marks of black spots. Take approximately 10 almonds, soak them in water overnight. Peel of the skin of almonds then grind them in the morning. Add one tsp of sandalwood powder and half tsp of honey in the grinded almonds. Mix them together by adding little amount of water to make a smooth paste. Apply it gently on your face. Leave it for 30 minutes then wash with lukewarm water. Sandalwood is great for the skin problems; it is used to prepare many creams and lotions for skin. 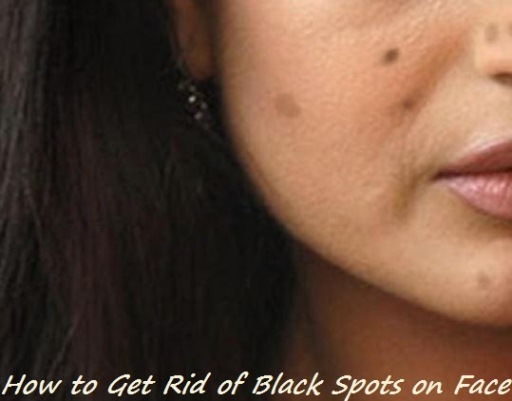 It has an effective action towards the reduction of black spots. Take some sandalwood powder, mix it with the glycerin and rose water to make a fine paste. Apply this paste on the affected areas of your skin. Leave it for few minutes then wash it off with lukewarm water. Follow the remedy once in a daily routine. Potato also contains a reducing power of eliminating the black or dark spots with two easy and comfortable methods. Cut potato into the slices. Take one slice and directly apply on the black spots. Another way of using potato is by combing grated potato with honey. Aloe vera is mainly a good plant which helps in healing many skin problems. It is also called as natural dark spot corrector. Apply aloe vera juice or gel directly on the black spots. Massage the area with the help of your fingertips by gentle motion. Repeat the remedy for twice daily for few weeks. 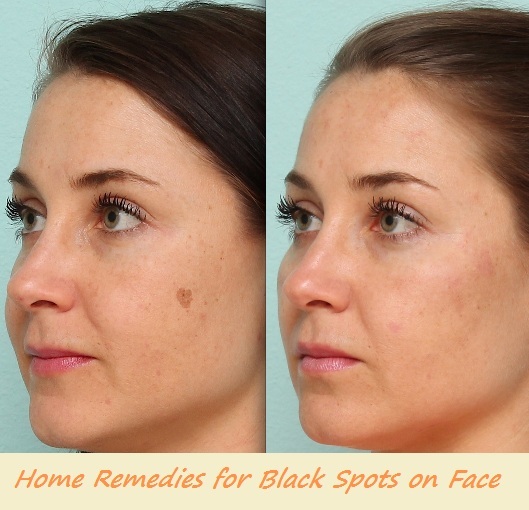 Turmeric is another ingredient that also helps in lightens up the dark black spots. It is also useful to remove the sun spots and age spots quickly. Take a bowl and add equal amounts of turmeric, milk and lemon juice. Mix them well together then apply on the black spots. You can also add honey or olive oil in the turmeric powder to make a smooth paste for applying on the affected areas. Wash it off after few minutes. Papaya is also an essential fruit because it contains certain types of enzymes that help even out skin tone and fading the black spots. The enzyme is called papain which works to exfoliate the skin and production of new and fresh looking skin tone. You can use papaya in two ways. Squeeze out the pulp of raw papaya and directly apply to your skin where you found black spots. Leave it for about 20 minutes then rinse it off. Another way is to grate the papaya then add some quantity of lime juice in it. Apply this mixture on the black spots. Allow it for 15 minutes then rinse it off. Onion juice is also very good to remove the black spots like that. Take a cotton swab and dip it into the fresh juice of onion. Now directly apply on the black spots then allow it to dry naturally. Another option of using onion juice is that prepare a mixture of one tbsp. of onion juice and two tbsp. of honey. 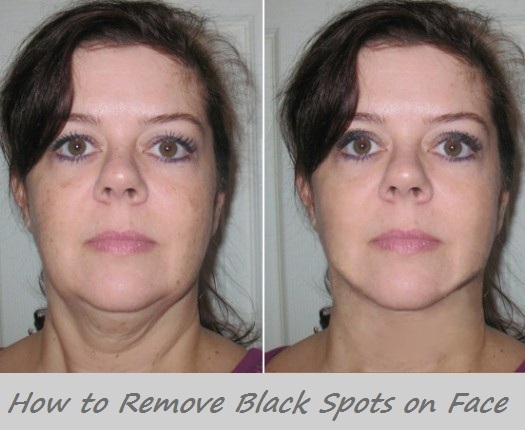 Apply the mixture on the dark spots for 20 minutes. If you have oily skin, add some vinegar in this solution as well. All the home remedies mentioned above are suggested for lighten the color of facial spots but not to remove them completely. If you see the condition is getting over, consult with a good dermatologist. New spots or skin variations strictly need to be examined by an expert physician for ensuring about the serious health condition.